At Parlee McLaws, we raise awareness for different charitable organizations in November as part of our Charity Month initiative. 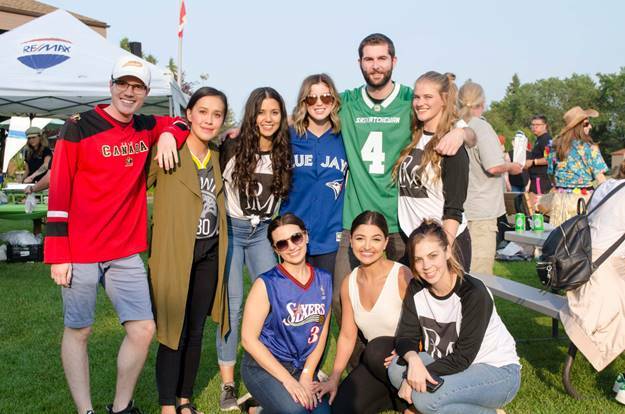 Back in the summer of 2018, the Edmonton Students of Parlee McLaws entered a lawn bowling team – aptly named the Students at Lawn – into Lawn Summer Nights 2018. Lawn Summer Nights raises awareness and funds for those living with cystic fibrosis across Canada. The team took part in a 4-week event and tied an impressive 3 games total. Luckily, their fundraising efforts were superior to their lawn bowling game; the students raised $1,490 for Cystic Fibrosis Canada! Michael Sharp, our fearless leader of our Edmonton Intellectual Property group, took home the gold medal with his friends & family team and were also named top Edmonton Lawn Summer Nights fundraisers by raising over $2,700. On September 29 at Confederation Park, after a well-played game, the Associates prevailed over the Partners by a tremendous margin of 28-7 ! Although the weather was freezing cold, a great time was had by all!